We all love pineapple fruit for their juiciness, taste-buds and vibrant flavor. Pineapple is good for health with a potent nutritional value. Pineapples rich in vitamins and minerals, also it contains a unique enzyme known as bromelain. Pineapple is more than just a tropical fruit. It has notable health benefits. This fruit is an excellent source of vitamin A, B1 and B6. Its tastes great eaten by raw or drunk as a juice form or added in a healthy desserts. Pineapples are flowering in 5-10 months, and fruiting in six months. Pineapples do not ripen significantly after harvest. In general Organic fruits consumption is used to get complete nutritional values. Make sure buy it from MyRightBuy Organic Store in Chennai. Pineapples are a rich in vitamin-C and it can help fight-off the viruses that cause coughs and cold. By nature it contains ‘bromelain’ antioxidant which helps in suppressing cough and running nose. Consuming pineapple juice aids in relieving sore throat. The bromelain enzyme in pineapples helps for digestive system. This enzyme also regulates the acid secretions in the pancreas to help digestion. Therefore, regular consumption of pineapple help to keep your digestive tract healthy. Pineapple is rich in Vitamin-C and other antioxidants. These are involved in collagen synthesis. In addition, pineapple contains manganese, the trace mineral needed to strengthen bones and connective tissues. This fruit can help you to build and strengthen bones and beautiful healthy skin. Macular degeneration is a kind of vision related disease caused by damage of the retina, resulting in eye sight problem and vision loss in adults. Regular consumption of pineapple can lower the risk of Macular degeneration disease by as much as 36%. Pineapple contains beta carotene which is good for eye sight. Nowadays, many women suffer from various menstrual disorders by vitamin deficiency and unhealthy diet. Some of these disorders can be cure both physically and mentally. Bromelain in pineapples helps relief from painful menstrual cramps and other menstrual problems. Lack of collagen causes signs of ageing, such as Sagging, Lines & wrinkles. As specified the above, pineapples are rich in vitamin-C which aid collagen formation by providing the necessary elasticity to skin. It helps to fight against skin lines and wrinkles. 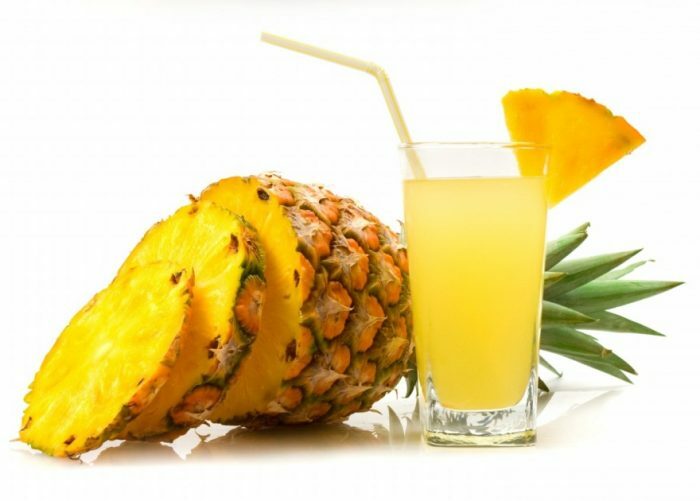 Regular consumption of pineapple juice helps to maintain beautiful glowing skin. Prepare face cream by mixing 2 table spoons of pineapple juice with aloe Vera gel. Applying this paste regularly will help to get rid of pimples and blackheads on your skin. Also try organic skin care products to get better results. If you are looking to Buy Fruits Online Chennai, check out the Myrightbuy online Organic Shop in Chennai.